A BUBBLING CAULDRON: Short Council Agenda Tuesday - Why Bother? 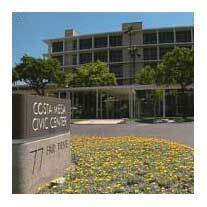 The Costa Mesa City Council will hold another meeting beginning at 5:45 p.m. on Tuesday, February 2, 2106 in City Council Chambers at City Hall. The agenda for that meeting may be found HERE. After looking at the agenda, my question is - WHY? Why hold a meeting at all with a short Consent Calendar and one (1) item on the agenda? It's hard to imagine that the only item on the agenda, Katrina Foley's request for a $15,000 Feasibility Study for Amenities/Portable Bleachers at Costa Mesa High School, HERE, couldn't wait until the next meeting on February 16th! There was nobody around City Hall this afternoon that could answer that question. And, since this one will be short - we could be out of there by 7:00 p.m. - it's likely that the agenda for the 16th will be yet another marathon, where it will stretch until the next day and poor decisions are made. However, since we're here, let's visit Consent Calendar Item #2 - Warrant 2550 HERE - to see how the City spent $5 million of our tax dollars. I'll give you a snippet from the long list of checks written, taken as I scroll down through the pages of the warrant. These items just caught my eye because of the nature of the expenditure or the amount. WLC Architects Inc - $8,575.00 - Fire Station #1 Architectural Design Ser. So, we spent more than a million bucks for a couple fire engines - that's great news. I just hope this city council doesn't find a way to keep the CMFD from using them, like they did the 6 Rescue Ambulances! And, since there's not much else on the agenda I scrolled down to the Upcoming Community Activites, Events and Meetings section at the very end and found a bunch of cool stuff that you can see if you visit that page, too. My favorite was the Smooch Your Pooch event at TeWinkle Park from 9 a.m.- 11 a.m. on Saturday, February 13th. That's followed by the Meet The Mayor event, from 2:00 p.m. - 4:00 on Sunday, the 14th, where some sycophants may assemble for their own smooch-fest. City Hall will be closed Monday, February 15th - the day before the next Council meeting. "Allen & Goel Marketing Company - $558.00 - Magnets 4 Sr. Center"? is there alot of metal laying around the center? or are they refrigerator magnets? why can't they schedule the Mayor's feel good awards on these short agenda nights? Instead, the pack in the photo ops with parents on a full agenda, and move important topics past midnight. Anyway, the California Republican Assembly has an open house starting at 7 that night. They need to get out early to go shake hands and squeeze wallets from the big out of town donors. Tom Hatch doesn't do the best job of organizing agendas, sometimes putting too many things on one night, even if they are not time-sensitive issues, and then having skimpy agendas at other times. However, the info. about the Republican Assembly open house is probably the reason this time. Steve likes to get his way, and city staff gives in rather than be bullied.